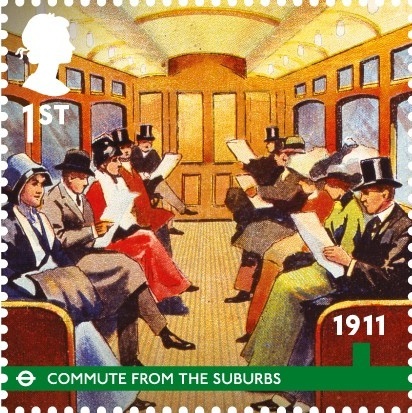 The oldest and one of the most famous railway networks in the world, the London Underground celebrates its 150th birthday on Royal Mail’s first stamp issue of 2013. 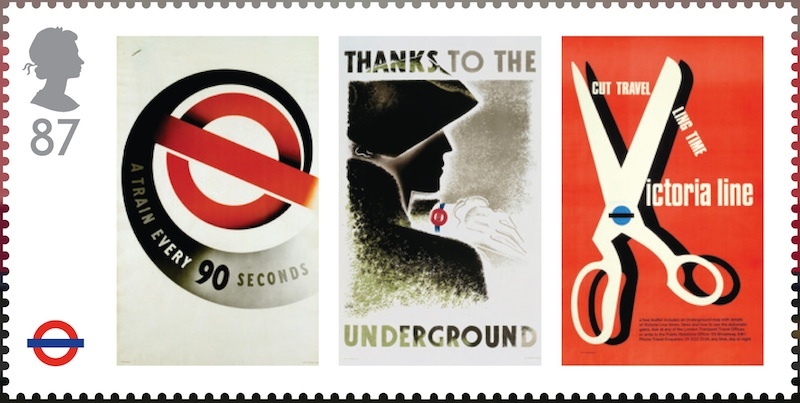 Issued on 9 January, London Underground features ten stamps; six charting the history of the network, alongside a miniature sheet of four long-format stamps focusing on the design heritage of its iconic posters. The issue date coincides with the precise anniversary in 1863 of the first part of what was to become London’s Underground: the steam-driven Metropolitan Railway running between Paddington Station and Farringdon Street via Kings Cross. Classic rolling stock travelling on the tube’s ‘deep cut’ lines in 1938 and Sir Norman Foster’s Canary Wharf Station make up the £1.28p pair. 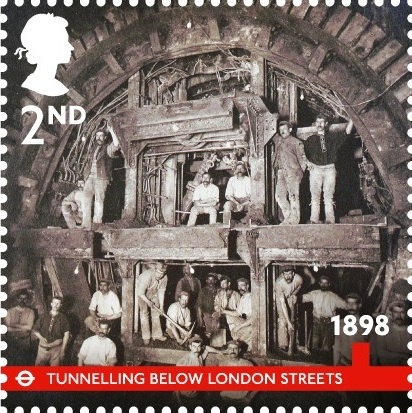 Each of the stamps features a timeline across the lower quarter of the stamps using different livery colours taken from London Underground lines. 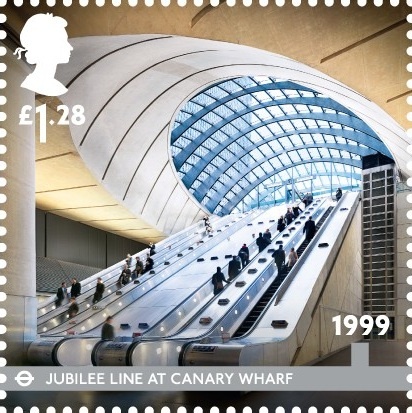 Philip Parker, Royal Mail Stamps spokesperson, said: “The London Underground has a unique status as the oldest and one of the busiest underground railway networks in the world. “For this first stamp issue of 2013 we have tried to capture the incredible history behind ‘the Tube’, which for millions of people is an integral element of their daily lives and an iconic part of London’s identity. Retail booklet - 6 x 1st. 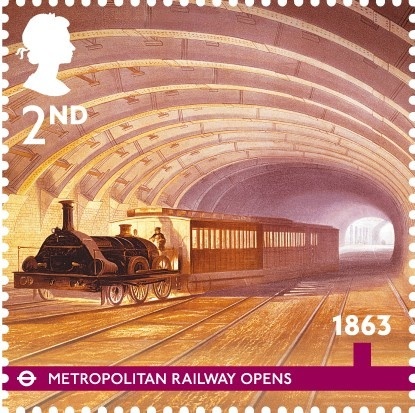 A stamp book will feature two London Underground 1st Class stamps and four 1st Class Machin definitives. 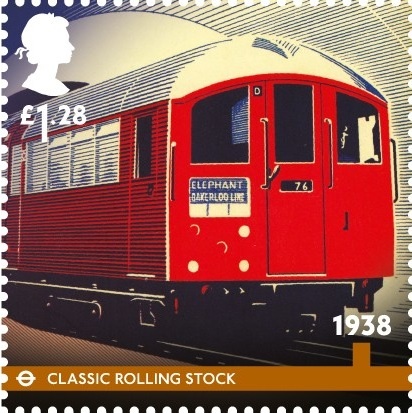 The definitives will be in the new red colour. 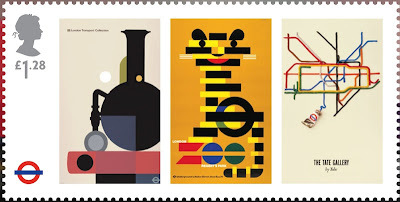 Individual stamps: Designed by Hat-trick the 35mm square stamps are printed in lithography by Cartor in France. 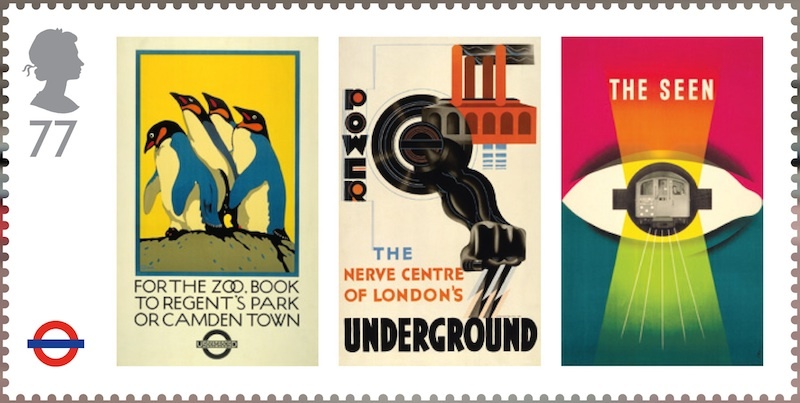 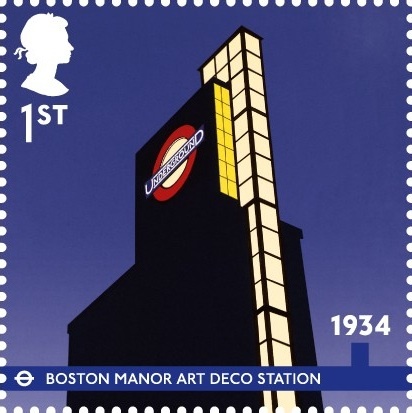 Stamp Images © Transport for London, except the 1938 image © Ian Allan publishing and 1999 photography by Paul Grundy © Royal Mail Group Ltd; London Underground & logo are registered trademarks of Transport for London. 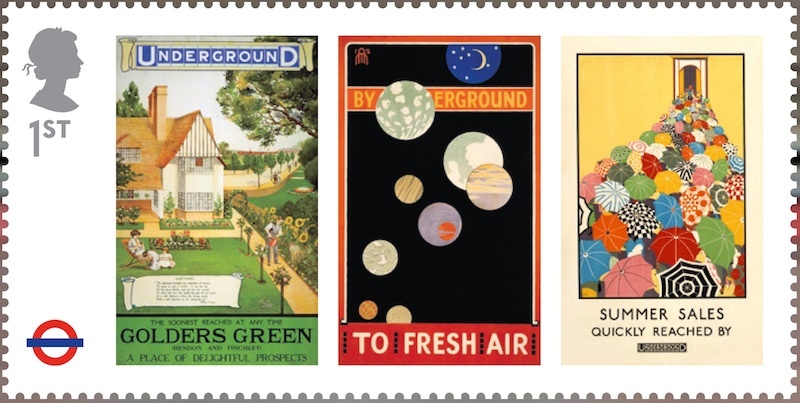 Miniature sheet: Size 183 x 74mm with stamps 60 x 30mm. Designed by NB Studios, printed in lithography by Cartor in France. All stamp images © Transport for London and Royal Mail. 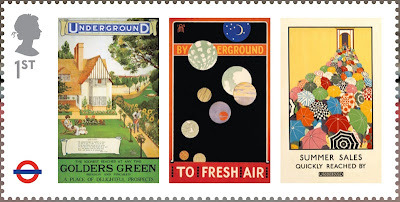 Stamp set, miniature sheet, 2 x FDCs, Presentation Pack, Coin Cover, Retail booklet, Stamp Cards.